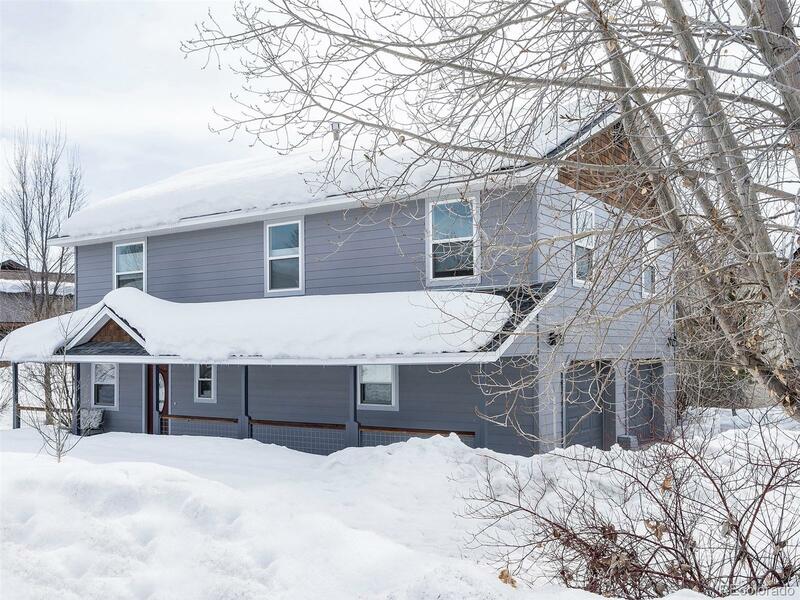 Located in Heritage Park west of Steamboat Springs, this upgraded 4 bedroom/3 bath, single family home sits on Brandon Circle, with a large front yard and a welcoming covered porch. Completely renovated, this home features a tile floor entry and a large, heated 2 car garage. The well-lit ground level has one bedroom and full bathroom, garage entry, a storage closet, and a utility room with side-by-side washer/dryer. The stairs lead to an open-floor-plan living room, dining space, upgraded kitchen, with 3 bedrooms/2 baths. There are remarkable upgrades in the master bath, including a beautiful tile shower and double vanity. A large walk-in master closet finishes off the master bedroom. Other notable enhancements include fresh exterior paint, heated driveway and landscaped yard. At the back of the house, enjoy the convenience of a private hot tub, surrounded by a lawn area, and large mature trees that blocks views from neighboring homes.